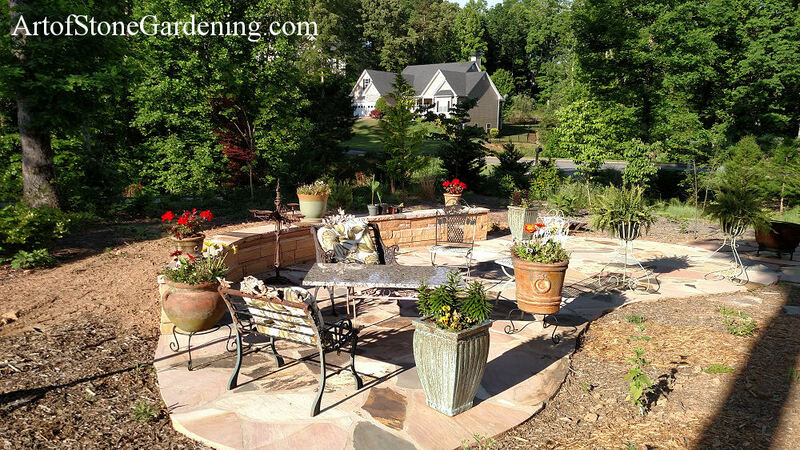 This garden is a nature lover’s dream. 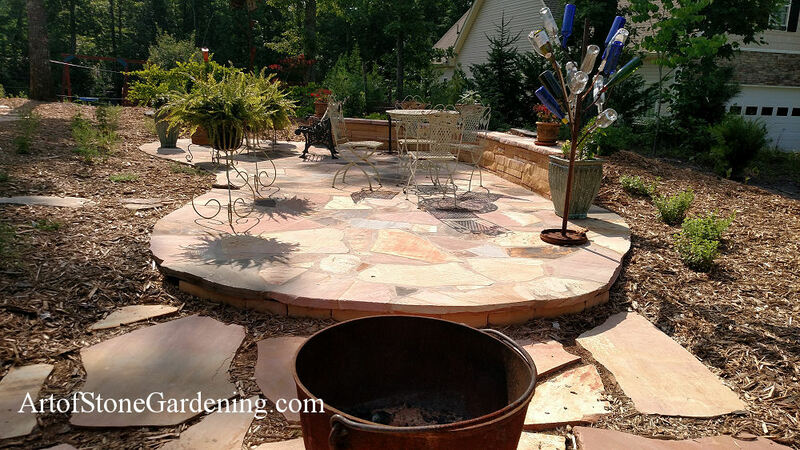 It is whimsical and full of beautiful native plants. 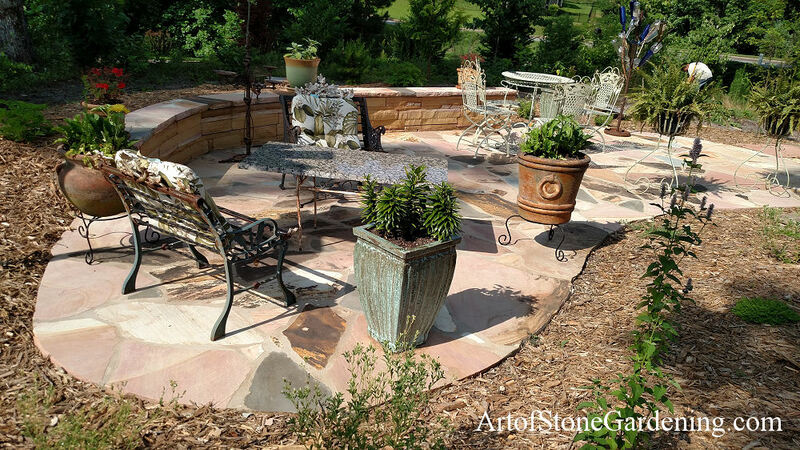 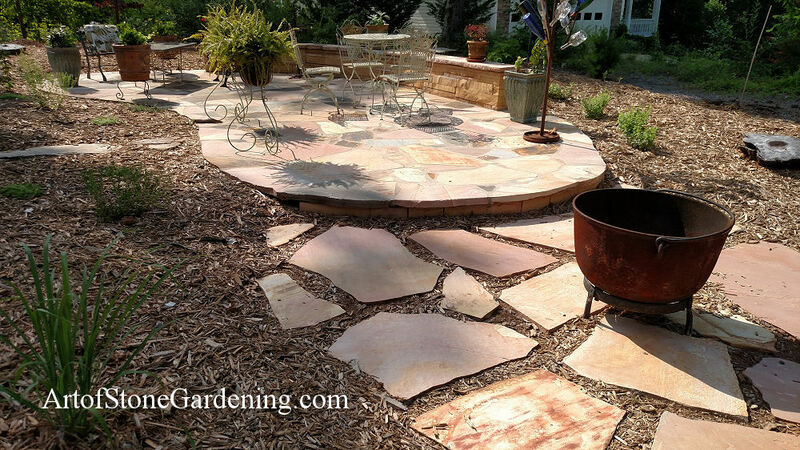 We designed this kidney shaped patio to blend in with the beautiful garden. 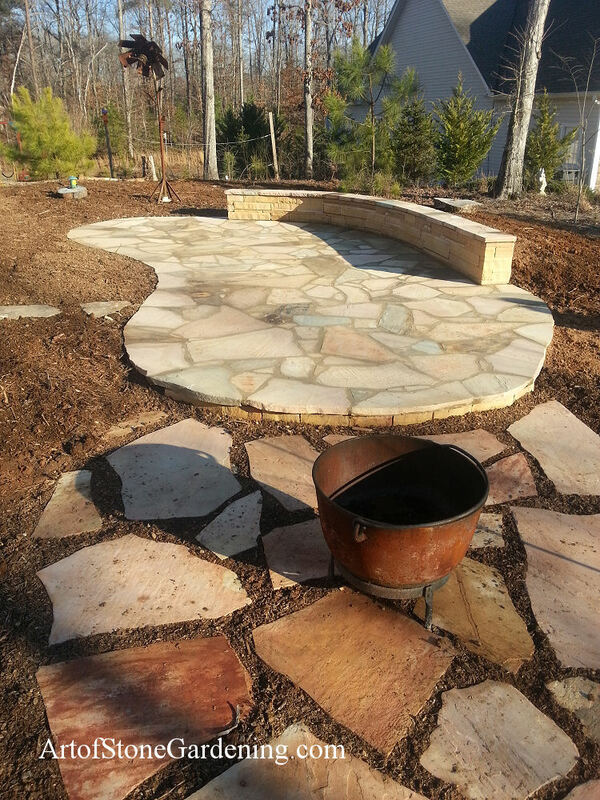 At one end, we added a separate section with individual stones set in concrete for her fire kettle.